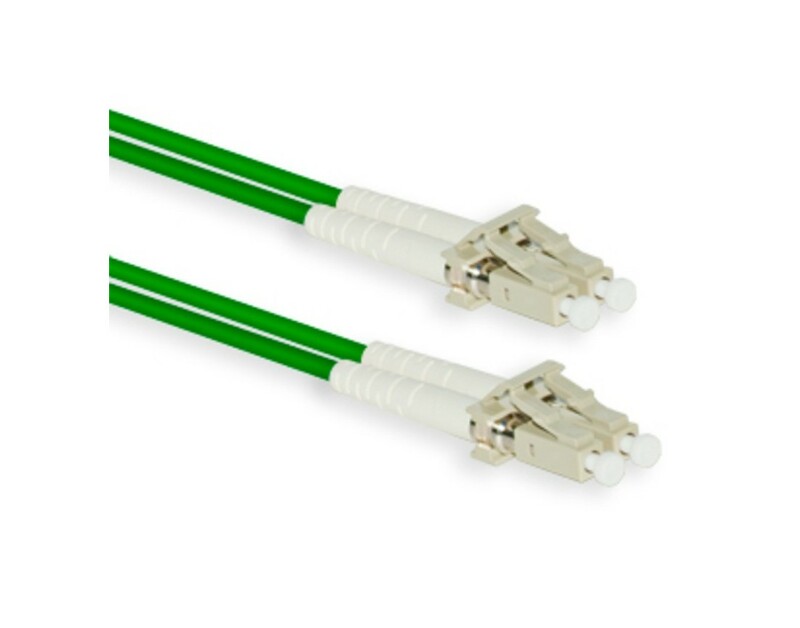 Green OM1 LC LC Fiber Patch Cables | 1Gb Duplex Corning 62.5/125 Multimode Fiber Optic Assembly. 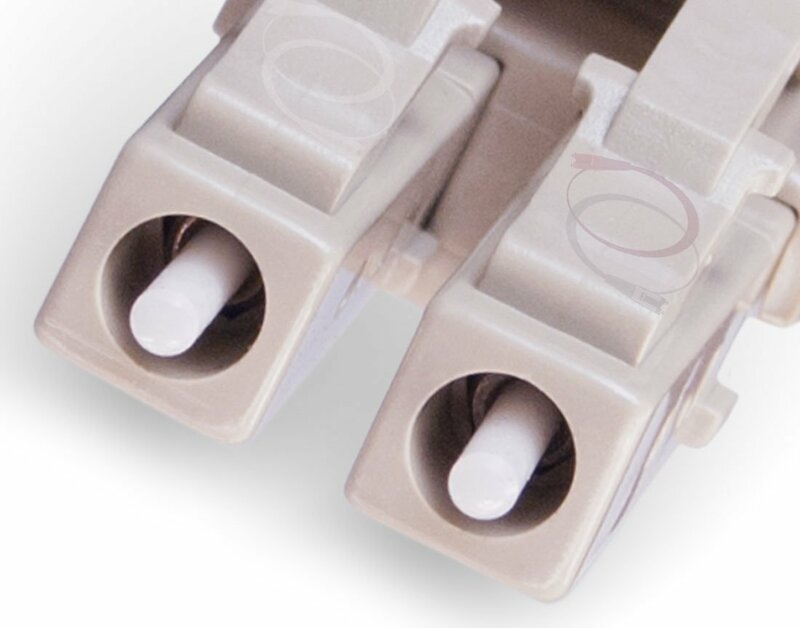 Durable small form factor (sff), 1.25mm ceramic ferrule, LC fiber connectors with duplex clips. High bandwidth 62.5um Corning multimode fiber (mmf) cable for high speed, low loss, data transmission. 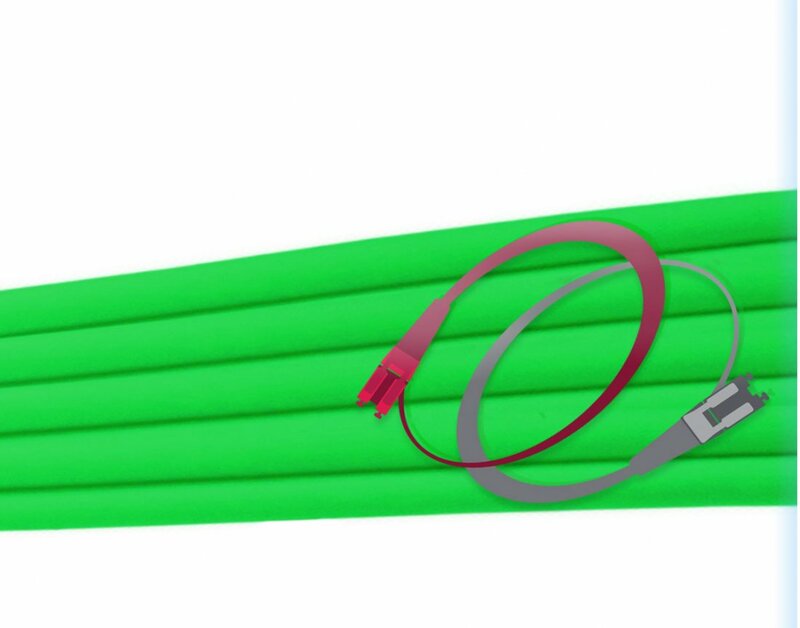 Green OFNR, 2.0mm outer diameter, PVC jacketed jumpers with zip-cord. 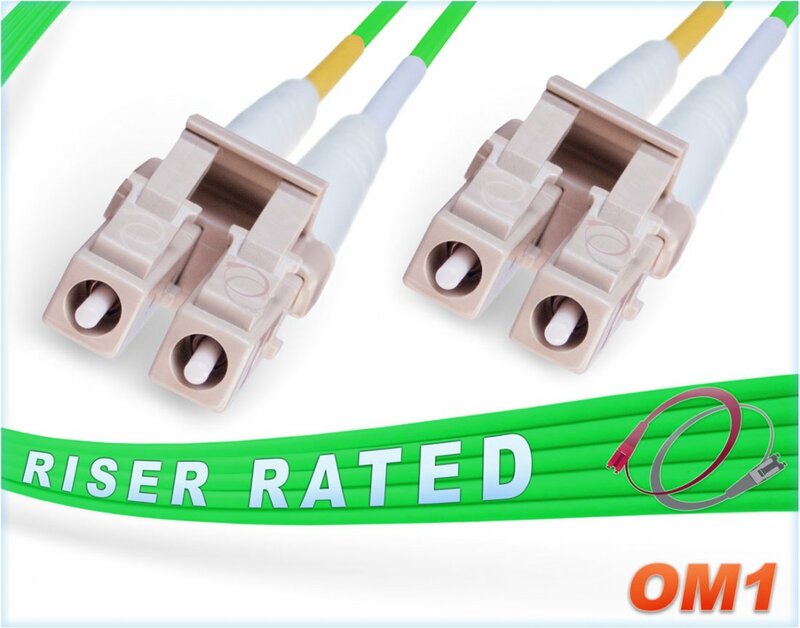 OM1 LC LC Fiber Patch Cable | Green 1Gb Duplex 62.5/125 Multimode Jumper Cord. 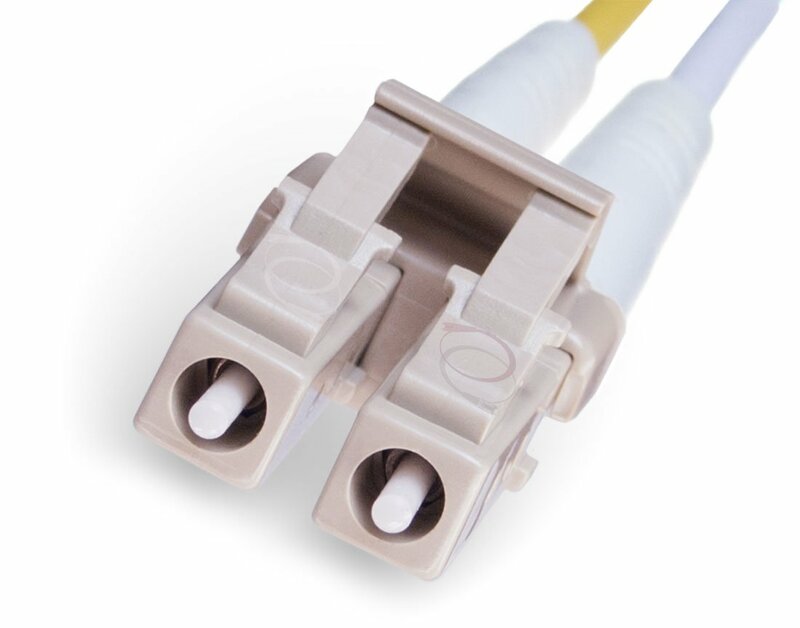 Accelerate your network's performance with this Corning 62.5/125 core/cladding, 1/10Gb multimode fiber cable and extend your 1Gig reach up to 600 meters. 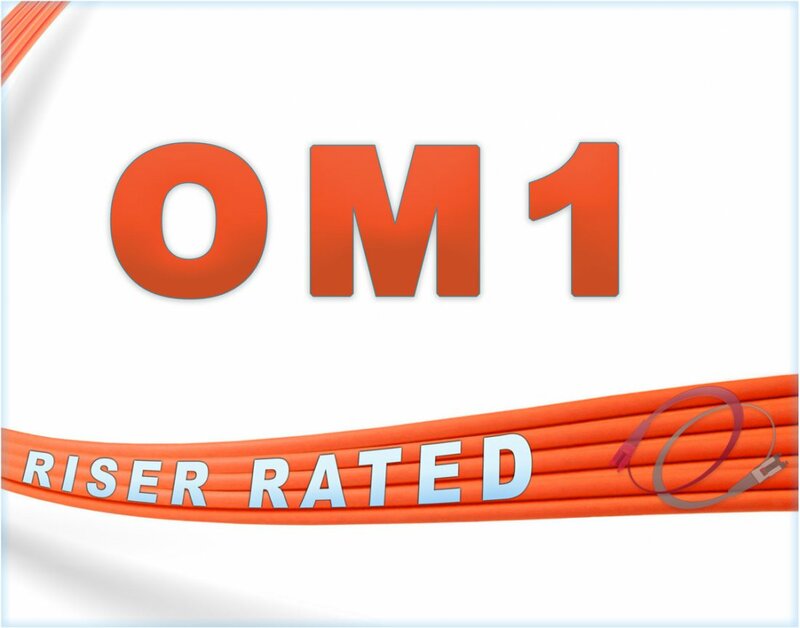 Assembled with durable, OFNR riser rated, green, 2.0mm o.d., PVC jacket that is water resistant, UV resistant, fire retardant and immune to electrical interference. Operating temperature between -20°C and +60°C. 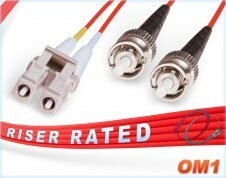 This OM1 fiber cable comes pre-terminated with small form factor (sff), 1.25mm ceramic ferrule, LC connectors (includes pre-installed duplex lc clips).